The Scottish Borders Habitat data has been derived from the analysis of aerial photographs. 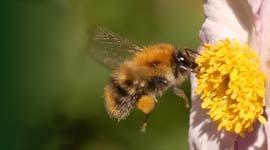 This dataset is an extremely valuable resource for the people of the Borders as it is the first time that we have had access to a proper understanding about what wildlife habitats we have and where they are found. The next stage is to check that the analysis of the aerial photographs is accurate by "ground-truthing" the data by checking sample areas in the field. Once we can demonstrate that this sophisticated process of survey from aerial photography is accurate we will have an excellent foundation to work on. We need volunteers who can go out and visit sites and compare the information held in the Scottish Borders Habitat dataset with what they find on the ground. Before you can do this you will need an understanding of the phase 1 habitat classification system as well as basic botanical identification skills. We have produced guidelines to help you with this and are also holding events to help you get started. See the links on the left hand side of the page. 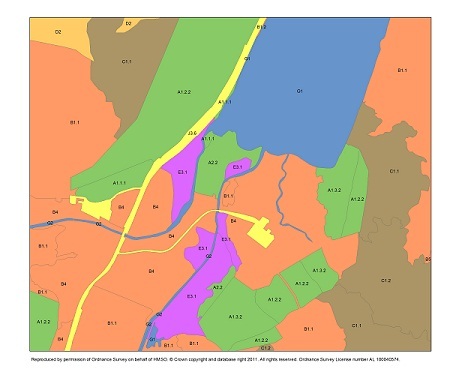 If you have previous phase 1 surveying experience and would like to contribute towards updating the Borders phase 1 dataset, please contact TWIC. We will then give you the maps and information you need to go out and carry out your ground-truthing survey. Please let us know an area you are interested in surveying by supplying a grid reference, location or site name. If you are interested in surveying a general area e.g. a ten kilometre square, let us know and we can select higher priority habitats or sites for you to ground-truth within that area. Get involved! Email us at: natalie@wildlifeinformation.co.uk. To date, TWIC have organised two phase 1 training events for volunteers; the first in May 2011 and the second in April 2012. As a result of these events a number of volunteers have come forward to check habitats in their local area. The data generated from this work is proving invaluable and will inform the next stage of the process. Further work will target those habitats that appear to be incorrectly classified or missed from the dataset, but data for areas local to volunteers remains useful. TWIC would like to thank everyone who has undertaken volunteer surveys to date.